Sensirion is a fantastic place to work – as proven by the Great Place to Work® rankings, created by experts in workplace culture and employer attractiveness. 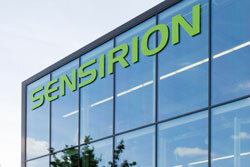 Sensirion was ranked the best Swiss employer of 2019 in the Large Company category (more than 250 employees). The unique and highly agile corporate culture that makes Sensirion one of the most popular employers is also the foundation for all the innovations that the high-tech company produces and that have made it the global market leader for environmental and flow sensor technology. The international research and consulting company Great Place to Work® analyses the attractiveness of companies in over 50 countries around the world through anonymous employee surveys and by auditing HR processes. According to Great Place to Work®, the best employers are innovative, agile, have dedicated employees and are thus economically more successful. The key is a strong culture of trust based on credibility, respect, recognition, team spirit and pride. Sensirion is one of these excellent companies. Sensirion achieved an exceptional approval rating of 90% in the employee satisfaction questionnaire. A full 96% of Sensirion employees agreed with the statement: “All in all, I would say this is a very good place to work.” Employees of the sensor manufacturer particularly appreciate the fair and collegial teamwork, the open and timely communication policy, and the high level of creative freedom and independence. In addition, the Great Place to Work® audit scored Sensirion as very good compared with other companies in the fields of “providing information”, “teamwork”, “recognition” and “celebration”. Sensirion has also received a special award for particularly agile corporate culture (Best Agile Culture Workplace Award 2019). “We are proud of these results,” say both Marc von Waldkirch, CEO, and Heiko Lambach, VP Human Resources. “In particular, we would like to thank our employees, who contribute to our unique company culture and spirit on a daily basis.” According to the two senior management members at Sensirion, the employees are the driving force behind the company’s 20-year success story. A listing among the most popular employers in Switzerland is nothing new for Sensirion. The company has already been honored several times in recent years for its unbeatable combination of innovation and unique corporate culture.